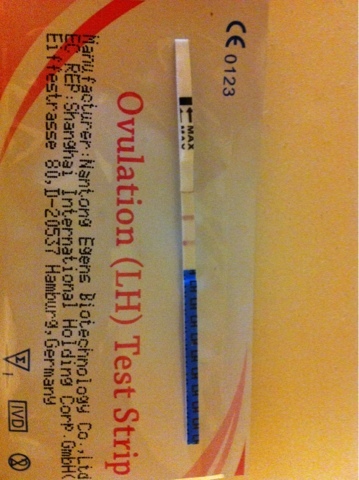 I'm not very good with taking ovulation tests because I either forget or get the wrong time as my cycles aren't very regular it's difficult. However today I got a positive ovulation test which I'm really excited about because I didn't think I would ovulate this month as I have been testing since day 10, I'm now on day 24. I buy opk tests from eBay they are so much cheaper and work the same. I got 30 for £3 and they gave me 5 pregnancy tests with the pack.